Grid: 11½" wide x 16½" long x ¾" deep This 2 piece set includes one cookie sheet and one baking grid. Cookie sheet is made of aluminum with a reinforced steel rim to prevent warping. Superior heat conductivity allows cookies to bake evenly every time. Pure aluminum will never rust. Use the baking grid to cook foods like potatoes and chicken wings. Baking grid is nonstick and oven safe up to 400°F. Grid feet have protective covers that prevent scratches and must be removed before use. 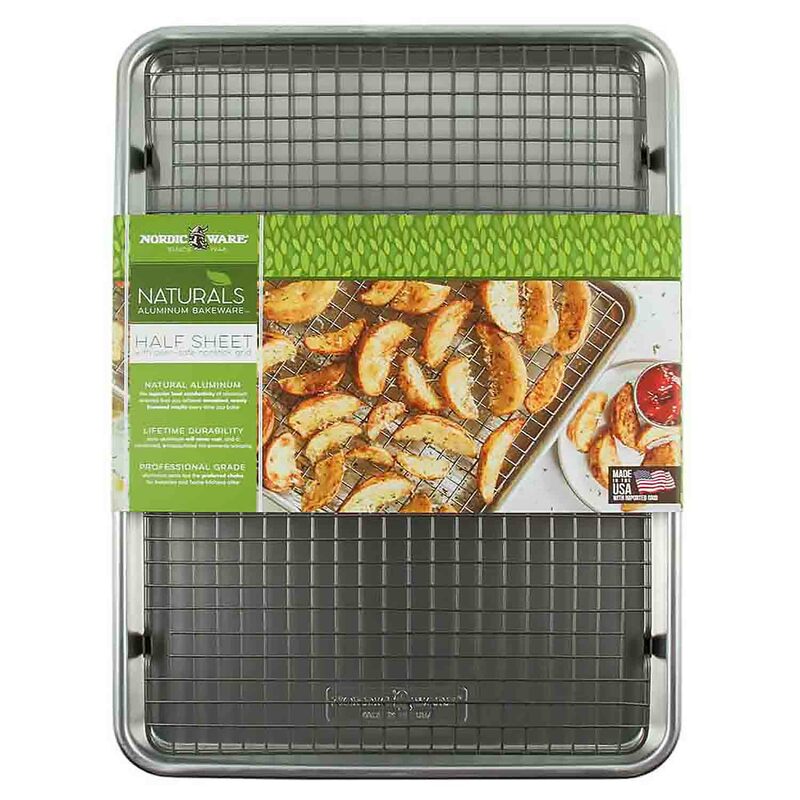 This 2 piece set includes one cookie sheet and one baking grid. Cookie sheet is made of aluminum with a reinforced steel rim to prevent warping. Superior heat conductivity allows cookies to bake evenly every time. Pure aluminum will never rust. Use the baking grid to cook foods like potatoes and chicken wings. Baking grid is nonstick and oven safe up to 400°F. 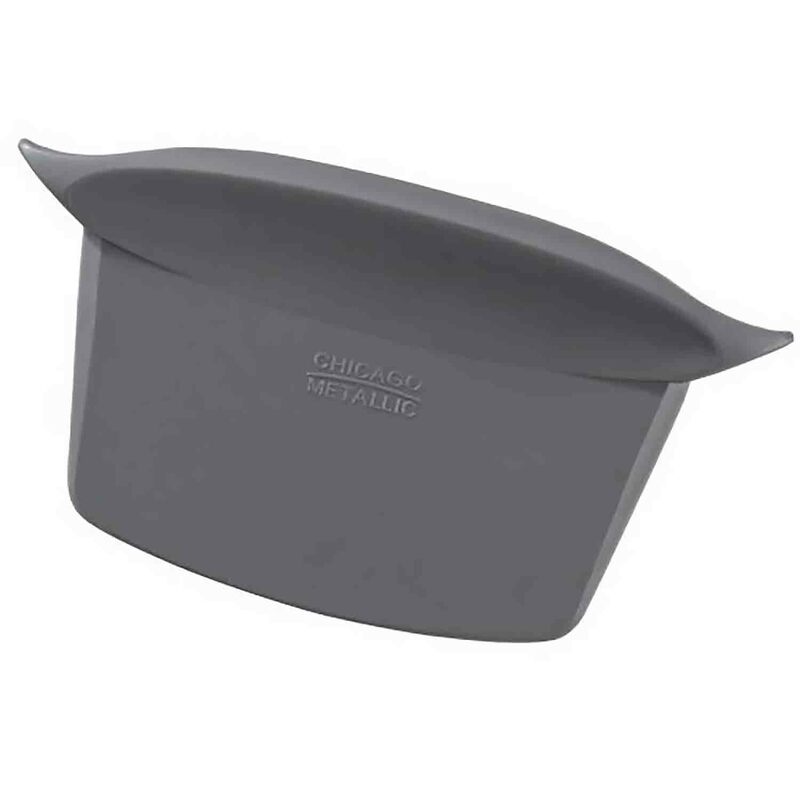 Grid feet have protective covers that prevent scratches and must be removed before use.